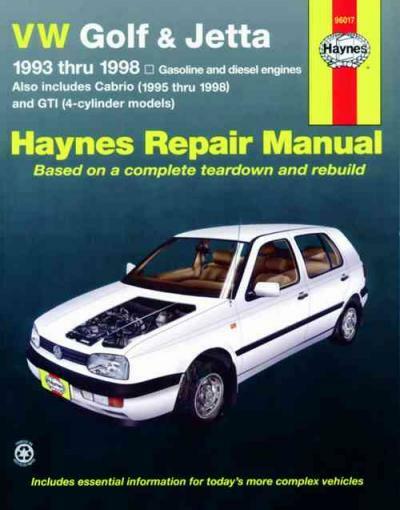 USA manual - Volkswagen VW Golf & Jetta 1993 - 1998 Haynes Owners Service & Repair Manual covers: Golf, GTI and Jetta 4 Cylinder models. The Volkswagen Golf is mostly a small family car manufactured by Volkswagen since 1974 and marketed worldwide across six generations, in a variety of body configurations and under various nameplates - seeing that the Volkswagen Rabbit across the nation and Canada (Mk1 and Mk5), and because the Volkswagen Caribe in Mexico (Mk1). The front-wheel drive Golf was Volkswagen's first successful replacement for a particular air-cooled Volkswagen Beetle. Historically, it will be Volkswagen's best-selling model and the world's third best-selling model, exceeding 25 million built by 2007. Most production of the Golf was initially on the inside 3-door hatchback style. 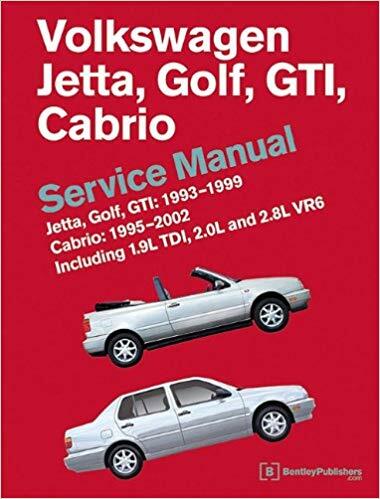 Other variants will include a 5-door hatchback, estate/wagon (Variant, from 1993), convertible (Cabriolet and Cabrio, 1979-2002), and a Golf-derived notchback saloon/sedan, variously called Volkswagen Jetta, Volkswagen Vento or Volkswagen Bora (from 1979). 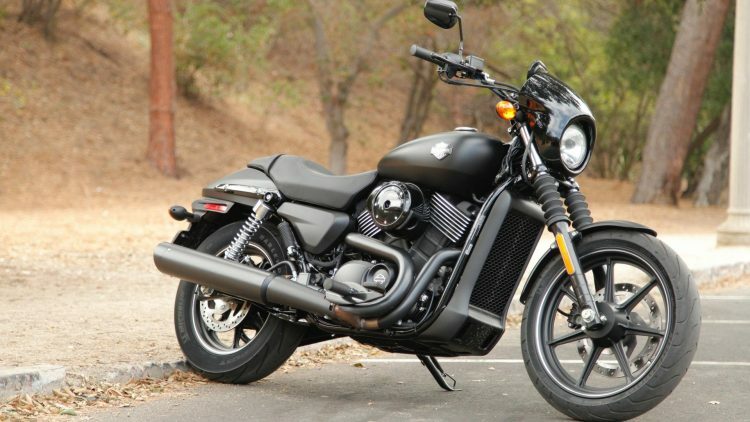 Only too expensive have filled many market segments, from basic personal cars, to high-performance hot hatches. The Golf name comes from the German word for Gulf Stream - and therefore the period in its history when VW named vehicles after prominent winds, including also the Passat (after the German word for Trade wind), Jetta (as soon as Jet stream), Bora (after Bora) and Scirocco (after Sirocco). "Golf" also is a sport, a theme may possibly be shared when using the Volkswagen Polo. Every generation of Golf has been a runner-up while in the European Car of the season awards, but only one is a winner, the Golf Mk3 in 1992. 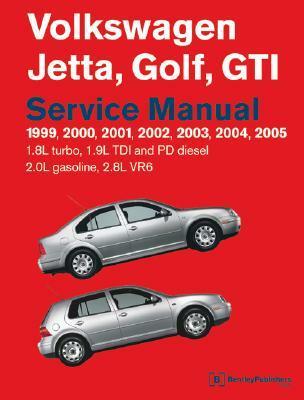 Launched in 1999, the Volkswagen Golf Mk4 (or VW Typ 1J) was the highest quality selling car in Europe in 2001 (even though it slipped to second place, behind the Peugeot 206, in 2002). The Mk4 would have been a deliberate hard work to take the Volkswagen Golf series further upmarket, which has a high-quality interior and higher equipment levels. 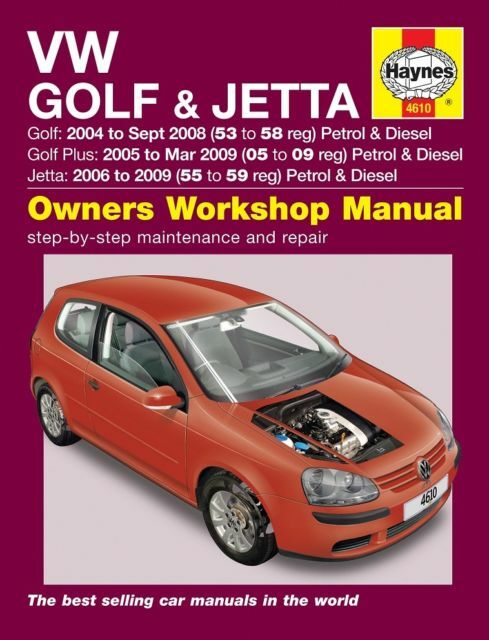 Overall the quality of maturity associated with the design as well as target audience were also evident - the humorous plays on the football game which resulted in special edition different types of three of the earlier generations being called "Golf Ryder", "Golf Driver", and the GTI's "golf ball" gearlever knob were dropped, and replaced which has a more subtly styled golf ball knob.It was replaced in 2004 because of the Volkswagen Golf Mk5. Volkswagen spawned a saloon version of the Mk4 Golf. When it comes to previous incarnations associated with the Golf, it had its very own identity, this kind of time was referred to as the Volkswagen Bora although the name Jetta remained in North America and Republic Of South Africa. Unlike its predecessors, the Bora/Jetta featured unique rear doors, front wings and bonnet. The front doors were the particular sole body panels it shared while using the Golf. The interior, though, was almost the same as the Golf, featuring very minor styling changes like its predecessor. Germany, South Africa, Slovakia, Brazil, Belgium, and China all made the Golf 4. Eastern European locations making the Golf 4 included Republic of Bosnia and Herzegovina, in VogoÃ�ï¿½Ã�Â¡ca (near Sarajevo), which also made Mk1 and Mk2 models. However, wedding and reception Bosnian Mk4 was popular in your own home only easily obtainable in the local market. 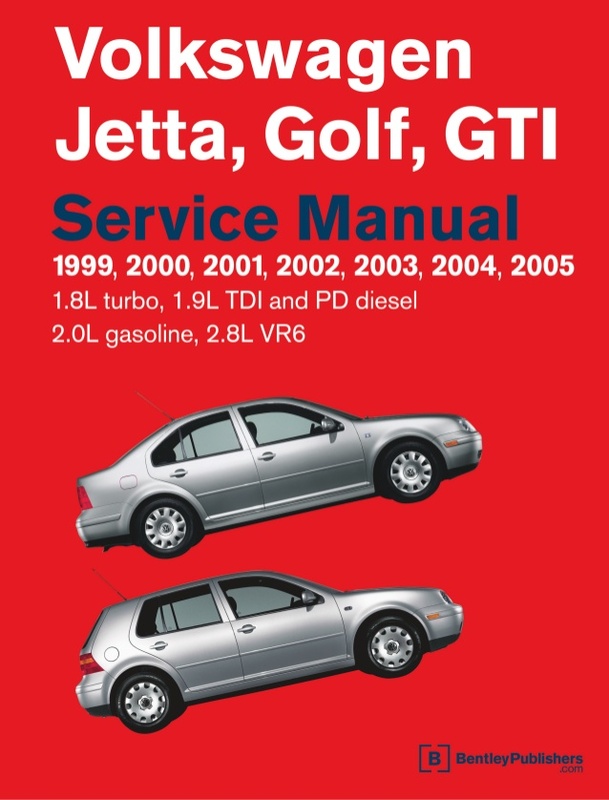 The Golf/Jetta Mk4 engine choices included 1.4, 1.6, 1.8, 2.0, 2.3 litre V5, 2.8 litre V6 and 3.2 litre R32 petrol engines, and a 1.9 litre turbodiesel, with power ranging from 68 to 150 PS (50 to 110 kW). Volkswagen made a choice of three and five-door hatchback or possibly a five-door station wagon available. The European Golf wagon was nearly the same as the northern area American Jetta Wagon. The only difference was applying the Golf front headlights, bumpers, grille, and fenders due to the fact parts are interchangeable relating to the Mk4 Golf and Bora/Jetta.